Many of those books have moved on but plenty remain and now that my wife and I are planning to pull our RV halfway across the continent, I decided to lighten the load. Here’s the deal. (1) This is limited to 30 copies. (2) Since we’re relocating, getting mail is problematic, so the opportunity is only for those willing to use PayPal. (3) I will send all of the books on Friday, April 17, by First Class mail, so I will close the offer Friday morning when I head out to purchase envelopes, if we haven’t hit 30 before then. Interested? Here’s what you do. Contact me through a private message (email, Facebook, Twitter or by using the “Contact Steve” tab at the top of this page). Give me a good email and I will send you PayPal instructions and get your delivery information, including how to personalize the book. Simple. Quick. A good deal. 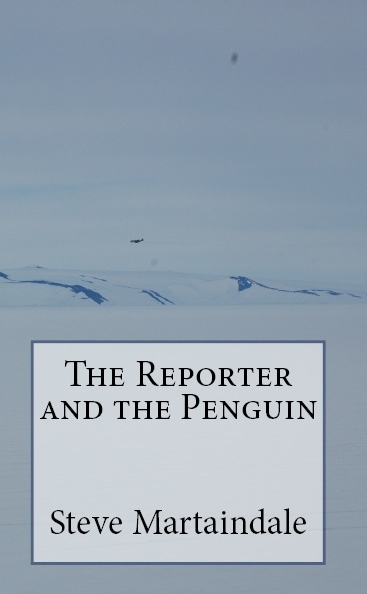 To review, this is only for “The Reporter and the Penguin,” book two of the JP Weiscarver series. (Read more about it here.) Seven dollars for USPS First Class delivery. Let’s do this.